Beginning T&T is a great class for ages 5 years -8 years. All T&T Classes are in our GYM #2. Call to schedule before you come to ensure your space in the class. ** means we are wanting to add this class, we need 3-4 students to open it. 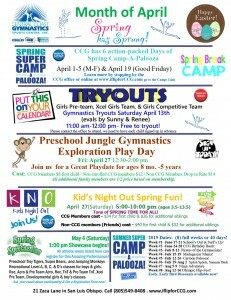 Description: Beginning Tumbling & Trampoline has three disciplines where students learn the basics of proper jumping, bouncing, drops, landings, and trampoline skills. They are taught proper techniques on for jumps and drops (e.g., seat drop, back drop, front drop, and combinations with twists) on the above ground trampolines. The second discipline is the Double Mini Trampoline, where they are taught the basics on the Double Mini including the run up to , proper bounce techniques, and dismounts. And the third discipline is tumbling. 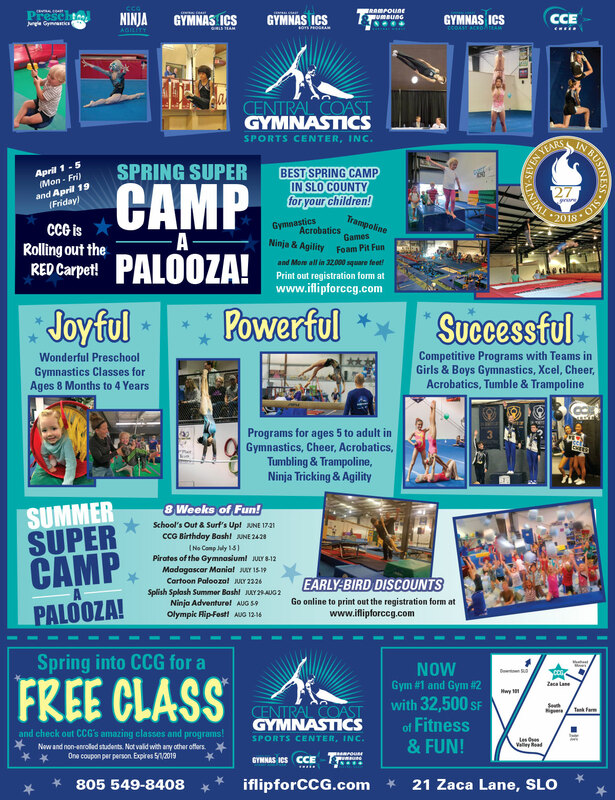 where every student will learn basic tumbling skills that include rolls, handstands, cartwheels, and round offs. Beginning T&T is designed to build a strong foundation for the athlete to build on. Intermediate T&T is a great class for ages 9 years & up. All T&T Classes are in our GYM #2..Call to schedule before you come to ensure your space in the class. ** means we are wanting to add this class, we need 3-4 students to open it. Description: Intermediate Tumbling & Trampoline Students progress towards front knee flips, back drop flips, front handsprings, back handsprings and more advanced body skills on the above ground trampolines. 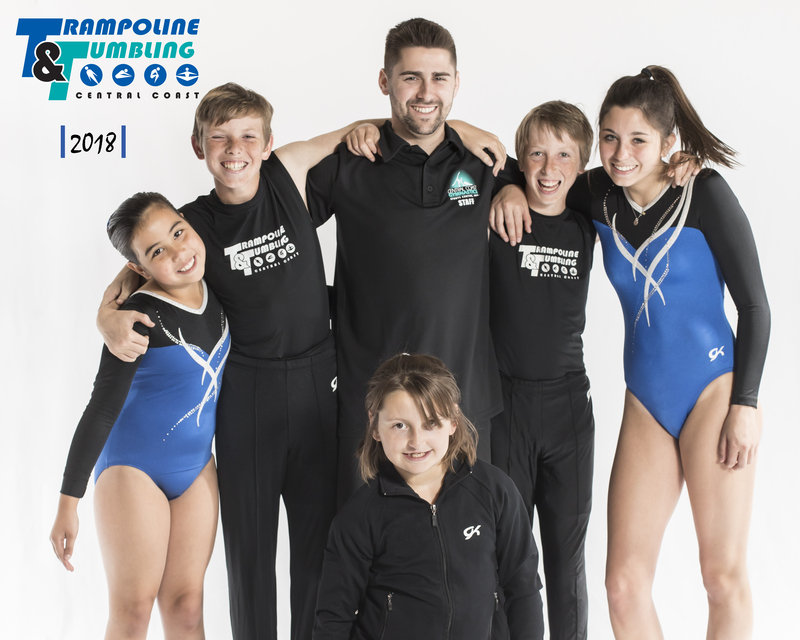 Students are also introduced to other rebound surfaces like our 84 ft. power tumble strip to learn and improve the basics tumbling skills and work towards connecting skills, learning handsprings, and drills & progressions for flips. The focus on the Double Mini Trampoline is now implementing a combination of jumps like straight to straddle to dismount. Intermediate T&T is designed to build on the basic skills, develop more combinations, and grow the foundation for the athlete to continue to build on. Boys Tricking & Agility are Ninja Agility and Tricking classes, they are great class for boys ages 9 years & up. All T&A Classes maybe be in GYM #1 & GYM #2..Call to schedule before you come to ensure your space in the class. ** means we are wanting to add this class, we need 3-4 students to open it. Description: Advanced T & A is a great program for boys who want to learn more free style gymnastics, tumbling, and stunting. CCG also incorporates our Ninja Agility training into this class, and the students are taught proper techniques and safe training for all aspects of climbing, jumping, flipping, rolling, and more on and off equipment, This class also incorporates the many types of trampolines we have at CCG along with all our rebound surfaces. 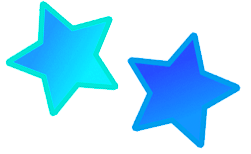 Advanced T&T are for the advanced level athlete in trampoline, tumbling, and double mini trampoline and are for athletes who are evaluated to this level. All Adv. T&T Classes will be GYM #2. Call to schedule before you come to ensure your space in the class. ** means we are wanting to add this class, we need 3-4 students to open it. CCG has a competitive team and offers training nightly, please contact the T&T Program Director, if you are interested in trying out for the CCG T&T Team. You can reach the T&T Program at (805)549-8408 press 6, or press 8 to speak to one our amazing office staff who can also answer questions for you during normal office hours. 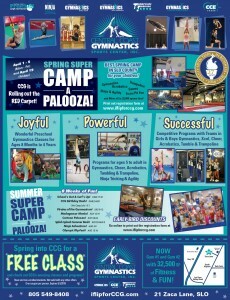 Description: CCG incorporates the USA Gymnastics J.O. Training program and competitive Levels 1-10 and Elite. The USA Gymnastics National Junior Olympic (J.O.) Program is regulated by the Trampoline & Tumbling J. O. Program Committee (TJOPC). It is administered through the Regional and State Chairs. It consists of Levels 1 through 10. This is an integrated program designed to give a structured plan for training a gymnast from the day he/she enters our gym through Level 10 and Elite levels of competition. 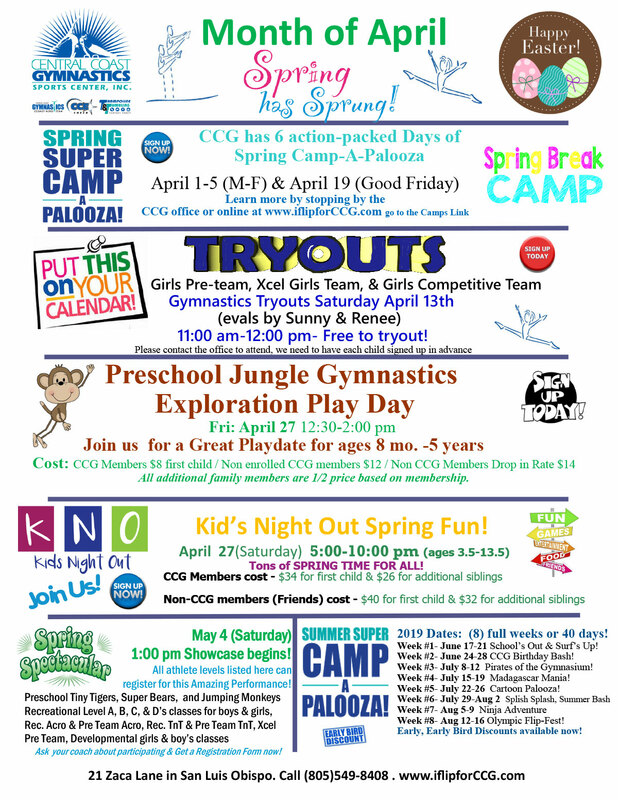 Trampoline is great for children ages 5 years and up for competing at the introductory levels of 2-4.